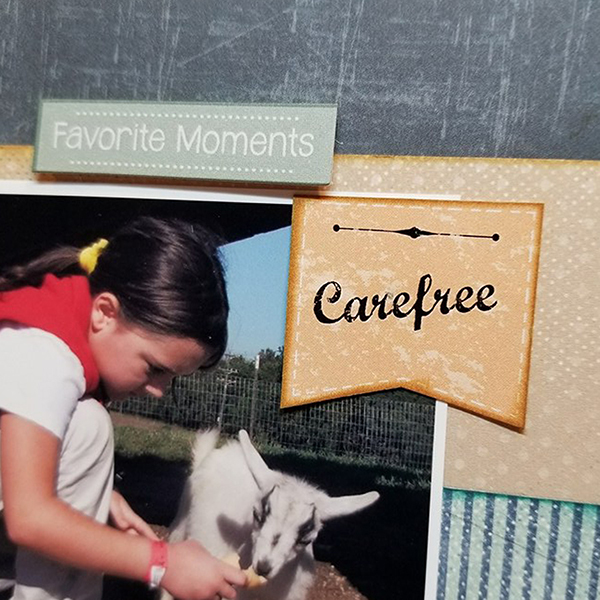 Blog Quick Quotes: Carefree Thanks with Susie! Hello and welcome! Susie hosting the blog today and I am sharing a very timely layout with a thankful theme! 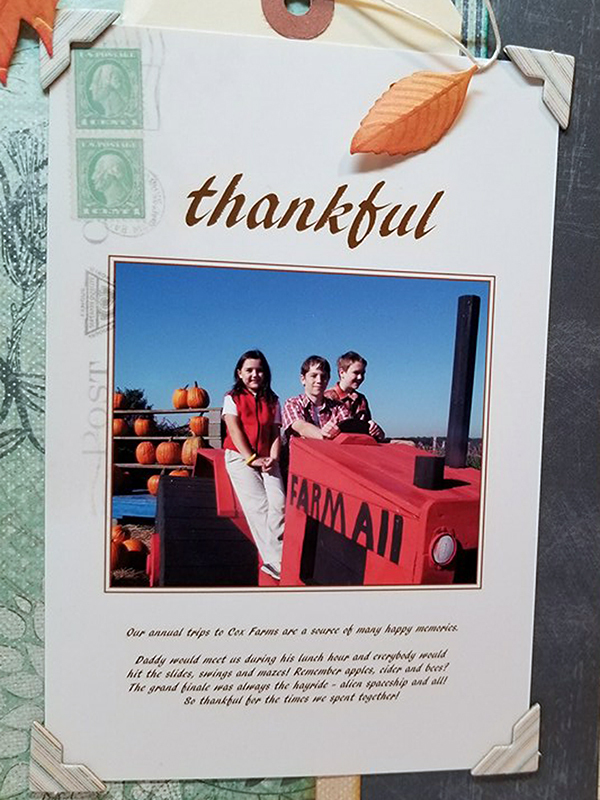 I sifted through my papers and stickers and gathered color coordinated elements from four different collections: Adventure Awaits, Anchors Aweigh, Farmhouse and Harmony! 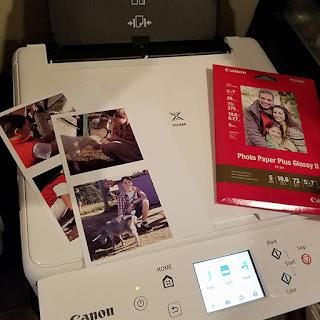 After selecting my papers I was ready to print some photos. 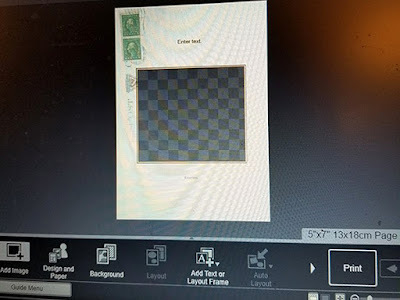 I fired up my Canon Pixma TS6020 printer and opened the Image Garden Software on my laptop. 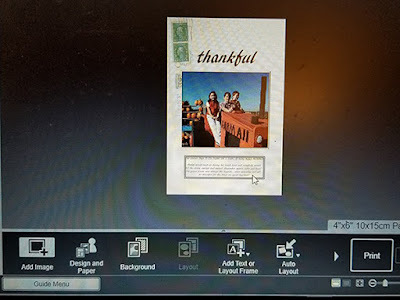 The software contains so many pre-designed templates and I am looking forward to using every one of them! For today's project I selected the Travel & Leisure 3 template in the Cards section. 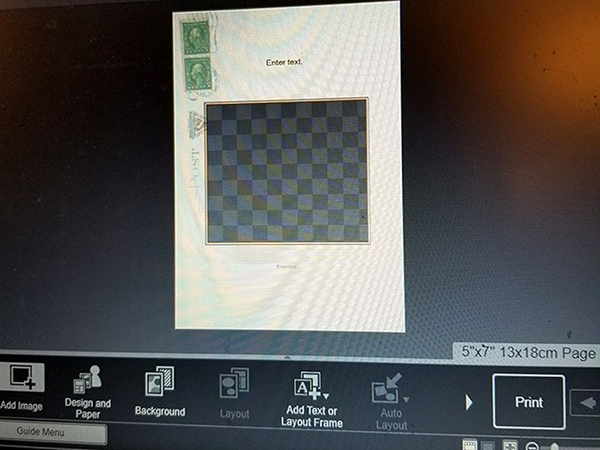 It has an opening for one photo (shown by the checkerboard pattern in the image below) and comes with postage stamps already collaged on the top left corner. I imported a photo and then had the opportunity to play with the text. The software accesses the fonts already on my computer so I had a wide range from which to choose. 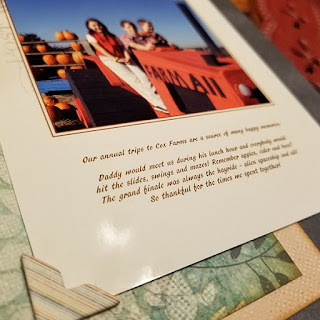 ...and then a smaller size to add journaling below the picture. 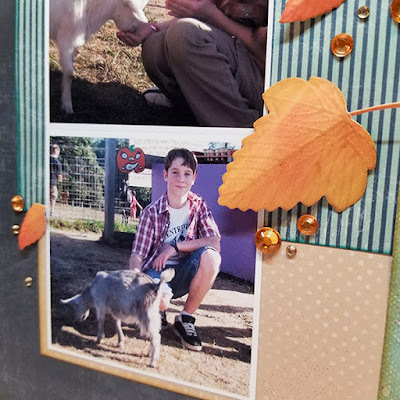 Can you see where I added photo corners from the Farmhouse Collection? Gotta have that little bit of dimension! I also printed 3" x 3" photos for my layout. The paper edges were inked with either Clay or Bora Bora PowderPuff Chalking Inks. Here are some close ups of the details. I shared a tutorial on how I created the leaves in a previous post. You can check out all those creative steps and details here. Today is the last day to enter our Fall Colors Challenge! See all of the details HERE.